In just two weeks the future of the National Football League will shake hands with Commissioner Roger Goodell as they cross the stage during the 2019 draft. Thursday, April 25th will begin the festivities as teams will attempt to fix holes on their roster and build towards a successful future. Some franchises are looking for the final piece to their puzzle in order to hoist the Lombardi trophy. Others continue to attempt to find the next face of their team. Nonetheless, all 32 teams enter the draft with problems in need of fixing. 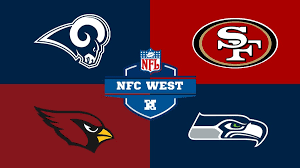 The NFC West division hosted two playoff teams as well as two of the bottom five teams in the league in 2018. The Rams and Seahawks will look to reload as Arizona and the 49ers want to get back to contending. The defending NFC champions enter 2019 with a chip on their shoulder after an embarrassing super bowl performance against the Patriots. The loss of Cooper Kupp hurt the Ram’s aerial attack as well as nagging injuries to star running back Todd Gurley. Those two things shouldn’t be a factor to start the season. However, replacing the interior of the offensive line in John Sullivan and Rodger Saffold will be a problem. The whole Rams’ offense is predicated on play action passing and running the football. Without an offensive line, the execution of their style of play will take a hit. On defense, the Rams will need to address concerns on all three levels. Ndamukong Suh’s one year tenure now leaves a hole on the defensive line as the Rams continue to seek a pass rusher across from Donald. Mark Barron’s departure follows Alec Ogletree’s from the year before, as the Rams have now lost key linebackers in back to back seasons. Combined with Aqib Talib aging and entering the final year of his contract as well as Marcus Peters’ disappointing 2018 performance, another cornerback would help the Rams as well. In order to make another super bowl performance the Rams need to have a solid draft. The key pieces remain in place, but depth is certainly an issue. 2018 saw the Seahawks return to the formula that helped them reach back to back super bowls and host the Lombardi trophy one time. They rededicated their offense to the run game and Russell Wilson making plays when needed. Seattle executed brilliantly as they had the most rushing yards in the league. However, the team still ranked bottom ten in the league in sacks allowed, so more work still needs to be done. The drop off of Doug Baldwin also shows the team’s need for number one receiving threat. On defense, they possess possibly the most talented and athletic linebacker group in the league lead by Bobby Wagner and K.J. Wright. Although improving on their 16th rank pass defense and 21st ranking for interceptions should be prioritized in order to restore the once vaunted Seahawks defense. On top of that, adding another pass rusher opposite Frank Clark would help. Cracking the top ten in sacks for 2019 is a realistic team goal if they do that. A successful draft will put Seattle in a position to challenge the Rams for the division crown. After losing Jimmy Garoppolo in their third game of the season, all the hope for 2018 went out the window. Now the signal caller, as well as the San Francisco organization, enters 2019 needing to trend towards a contending season. The offense is lacking a true outside threat unless Dante Pettis builds off his rookie campaign in an extremely impressive way. Although a healthy Jerick McKinnon and freshly signed Tevin Coleman will form a versatile and dangerous running back trio with Matt Brieda. The 12th ranked 49ers rush offense will likely need to lead the way again behind the offensive line. Although like the Seahawks, they’ll need some improvement from their interior protection. The acquisitions of Dee Ford and Kwon Alexander give the team a suddenly strong linebacker group. Combined with Soloman Thomas, Arik Armstead, and DeForest Buckner, the 49ers have the makings of an elite front-seven. Getting help in the secondary becomes the priority. Richard Sherman is trending downwards and they’d be silly to rely on Jason Verrett for a healthy season. Ahkello Witherspoon and Jaquiski Tartt are both young and talented with bright futures. Nonetheless, outside of health, an improved secondary will be key for a successful 2019 in San Fran. Under new head coach Kliff Kingsbury the Arizona Cardinals will attempt to escape the cellar of the NFC West division. One year into the Josh Rosen and yet Arizona appears ready to take Kyler Murray with the first overall pick. The young mobile signal caller is expected to fit Kingsbury’s preferences much better. Before a quarterback though, perhaps the league’s worst offensive line needs help. After ranking last in rushing and bottom five in sacks allowed, interior and exterior line must be addressed. On top of that, continuing to rely on Larry Fitzgerald and failing to acquire a top receiver is ridiculous. The Cards need weapons outside of the injury-prone David Johnson. Despite ranking top five in the league in sacks on defense, the Cards sat dead last in rushing yards allowed. Yeah, last in rushing and rushing allowed will land you the number one pick. Getting some hog molies and big bodies on the defensive line is the number one defensive priority. This Arizona roster has holes everywhere and has no shortage of help needed. However, fixing the points of attack is the first step towards winning.